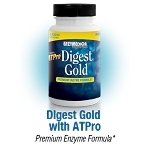 Digestive enzymes are very important to all of us. As we age, the number of enzymes we naturally produce, gradually declines to a point that we have difficulty digesting our foods. Unfortunately, due to genetics, some of us have issues with certain foods, such as milk, vegetables, beans, etc. Adding enzymes to your diet, can greatly enhance your body's ability to absorb the nutrients from the foods you eat and eliminate the waste more efficiently. The products listed on this page are considered by most in the industry to be second to none. Vita-Man is unique because we truly do care about the integrity of the products we sell. Safety and efficacy are very important to us. Our specialists do a great job finding the best products for the best prices so that you don't have to. Because we employ supplement specialists, we're able to provide professional quality lines to our customers. Because of contractual obligations we don't advertise these products on the web. However, if you're interested in anything in particular, please make sure to contact us and we'll help you get whatever it is you're looking for. Copyright VITA-MAN. All Rights Reserved. eCommerce Software by 3dcart.